London would appear to be undergoing one serious transformation in the way of construction. There are a number of incredible projects taking place across the city’s skyline, so we’ve taken a look at some of the current construction projects in the pipeline that guarantee to make the biggest impact on one of our favourite cities. Battersea Power Station – the once decommissioned power station looks set to transform into one of London’s most vibrant new neighbourhoods. This is a seven-phase redevelopment that looks set to cost a whopping £8 billion. It will be located just one mile from the Houses Of Parliament, which make it a prime location for those commuting into work or simply wanting to invest in some prime London real estate. The Crossrail (Elizabeth line) – if you haven’t heard of this project yet then we suggest you get into the city a little more from now on. This project has been taking place for a number of years already with an incredible amount of planning having gone into this project. It’s currently one of the biggest civil construction projects in the whole of Europe with more than 15’000 staff being employed over the entire course of the project. With completion looking to cost a whopping £15 billion, introducing 10 new stations throughout the city and increasing the rail capacity overall across London by 10%, this construction project is nothing short of amazing. Thames Bath Lido – if you asked someone to swim in the Thames, we bet the vast majority would give a hard and fast no. The new Lido project however, aims to provide people with the chance to swim in the Thames by transforming part of the river near Temple station into three, not one, but three freshwater pools. This project will set the city back a whopping £10 million and while it’s only in its first stage of funding, the pools could prove to be a great addition to the community. Spire London – the beginning of this project started way back in 2016 with demolition starting. The current aim for completion isn’t until 2020. When completed, the 67-story skyscraper will be the same height as one of the most famous buildings in London’s, Canary Wharf, One Canada Square. It will also earn itself the title of Europe’s tallest residential building. While it is yet to be completed, this skyscraper has already been given its nickname of the ‘Flower Tower’ and it’s one we cannot wait to see finished. The estimated construction cost of the ‘Flower Tower’ looks to stand around £800 million. London most certainly has the London construction market covered with builder’s loos for hire throughout the city. 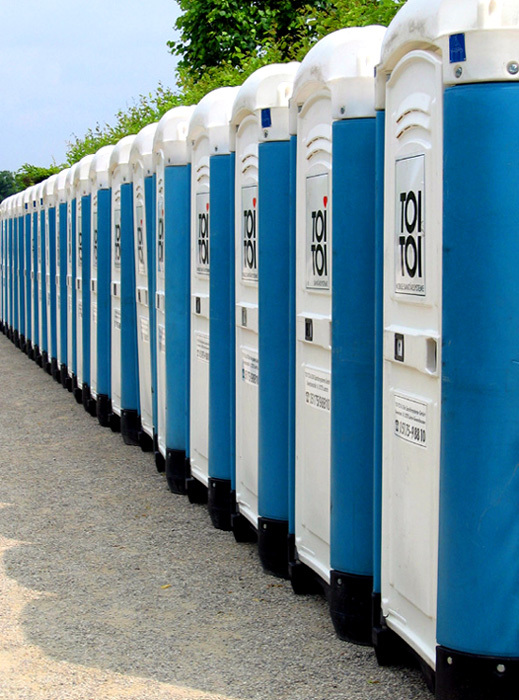 If you’re looking for portable toilet hire in London, simply contact us today.